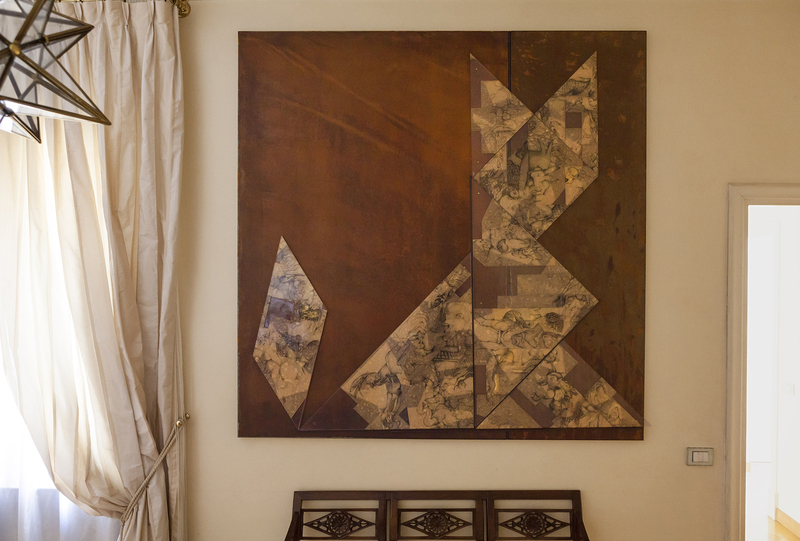 TANGRAM is a cut-up work originated from an 8 meters long roll of drawings . Slices and fragments were cutted, isolated from the original ensamble and recomposed in a new configuration on a polycarbonate support, reproducing a 110 cm x 110 cm tangram. 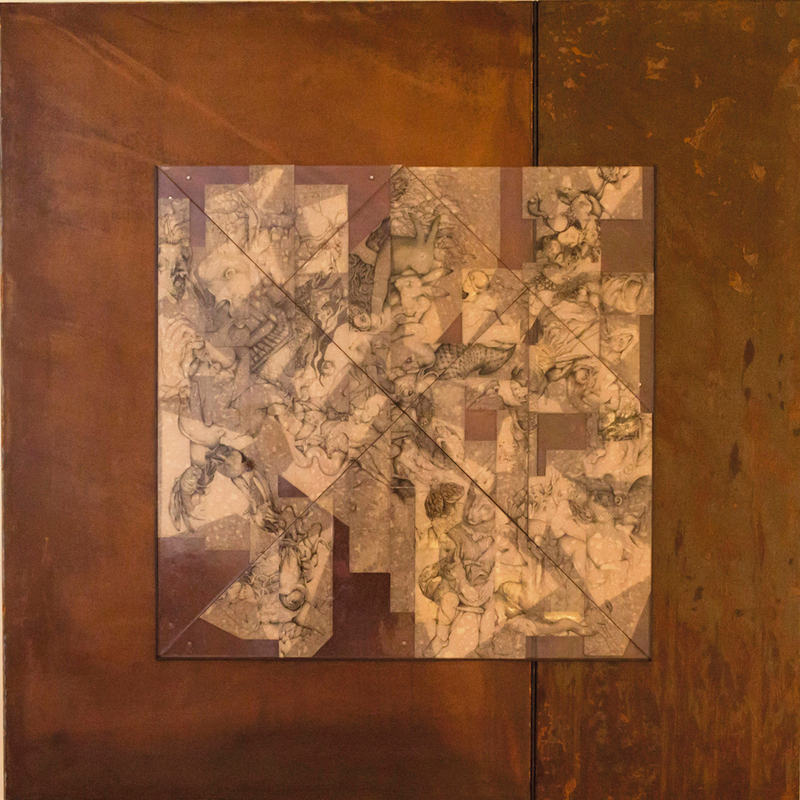 The whole is then applied on a metal surface by magnets, making possible to move freely each piece and recompose at the same time the external and the internal configuration of the entire work. In this way the observer become active defining the artwork, not just by acting on it, but reproducing the same deconstructive-reconstructive process the artist first used to conceive and generate her work. TANGRAM – CUT THE MUSTARD, with his ‘dark twin’ CUT OFF, is part of a multiple project, which includes a roll of drawings, and a book [TRUDE RABBIT].